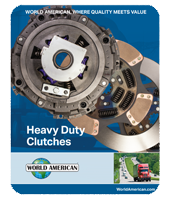 World American is the heavy duty, export division of Midwest Truck & Auto Parts, Inc. We supply drivetrain, brake, steering and suspension, wheel attaching, rotating electric, clutch and hydraulic components to the heavy-duty aftermarkets. 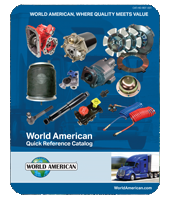 For nearly 20-years, World American has been manufacturing manual transmission components, differential components, complete rebuild kits, bearing kits, ring and pinion gear sets, cases, housings, axles, yokes, u-joints, air brake valves, brake chambers, brake hardware kits, air springs and more. 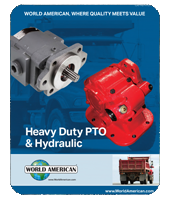 Get superior OEM quality replacement parts, backed by professionals with the experience and knowledge to help get heavy duty vehicles back on the road quickly! OEM quality replacement truck engine replacement parts, including cylinder blocks & heads, camshafts, clutch housings, crankshafts, exhaust manifolds, flywheels, housings, ring gears, fuel & lubrication systems, pistons & rods, timing gears, turbo chargers, valves and related parts. 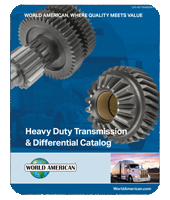 OEM quality replacement parts for all of your heavy duty differential & manual transmission needs, for Dana/Eaton®, Fuller®, International® and Meritor®/Rockwell® applications. 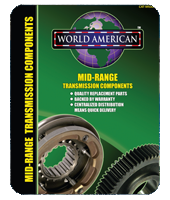 OEM quality replacement parts for your mid-range manual transmission needs for Fuller® & TTC®/Spicer® applications. 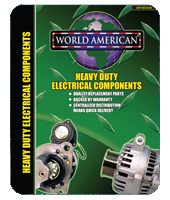 OEM quality replacement alternators, starters & related electrical components. Save time and money with all new parts, no cores required! 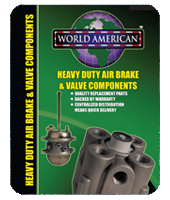 OEM quality replacement parts for all of your air brake related needs; including valves, brake chambers, auto & manual slack adjusters, hardware kits , hose assemblies & much more. 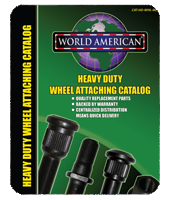 OEM quality replacement wheel studs, flange studs, u-bolt kits, wheel clamps and wheel chocks. 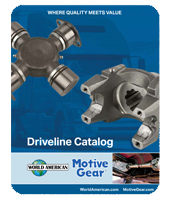 An easy to review buyer's guide of the most popular heavy and light duty driveline parts. 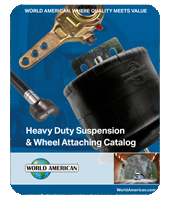 The ultimate resource for both heavy duty truck and light duty auto / pickup / SUV drivetrain products, all in one catalog.